Living in your RV can be cheaper than being a homeowner. For example, RV park rent typically costs less than a monthly mortgage payment. Unfortunately, the lower cost of living still doesn’t excuse us from paying for annual RV maintenance jobs. So, whether you`re a full-timer (or even an extensive traveler), checking those critical chores off our to-do list is necessary if we want our road trip adventures to continue. These three tips can help you deal with this part of RVing and to ensure worry-free travels down the road. 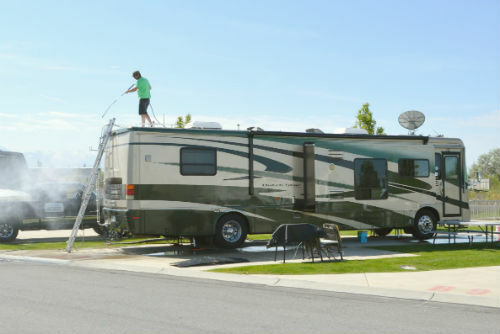 The internet is full of RV maintenance checklists, which include tasks like prepping your RV for spring. But don’t put the cart before the horse today. 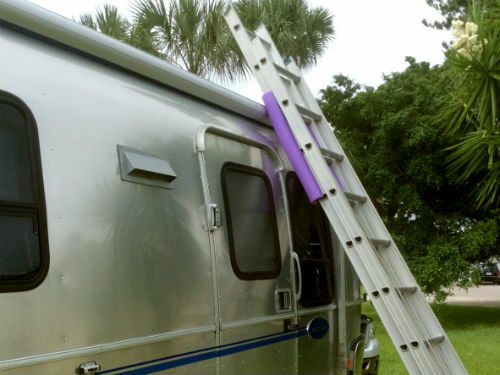 Instead take a 10,000-foot look at tackling annual RV maintenance whether you live on the road or are a frequent traveler. RV maintenance costs differ from rig to rig. Generally speaking, towables have a lower cost of ownership than motor homes. However, those numbers can change if your rig is used and wasn’t properly maintained before you bought it. Consult your owner’s manuals and seek out RV maintenance checklists to learn which annual jobs apply to your RV. With a list in hand, call RV service centers to get an estimate for big ticket jobs like engine service. Try to call one urban service center and one rural service center to get a feel for how prices will fluctuate depending on where you are when the work needs to be done. Do you consider yourself a grease monkey? Honestly assess your mechanical aptitude and decide which of those checklist jobs you’ll hand over to RV tech experts. Biting off too big of a chunk of annual RV maintenance can be disastrous if you aren’t 100 percent sure you’re up to the challenge. 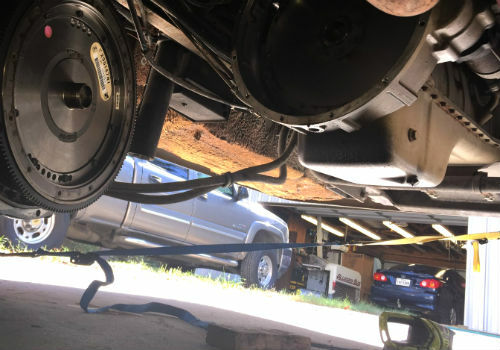 For instance, my techie husband tackled a DIY job greasing the axle bearings and we ended up paying the experts to fine tune it afterwards. In simple terms, let the experts do what they do best. Whether you hand over the annual maintenance jobs to a service center or do it yourself, getting it done requires a well-planned itinerary. If you’re a DIYer and it’s time for an outside chore like sealing seams and keeping moisture at bay, pick a maintenance-friendly campground. 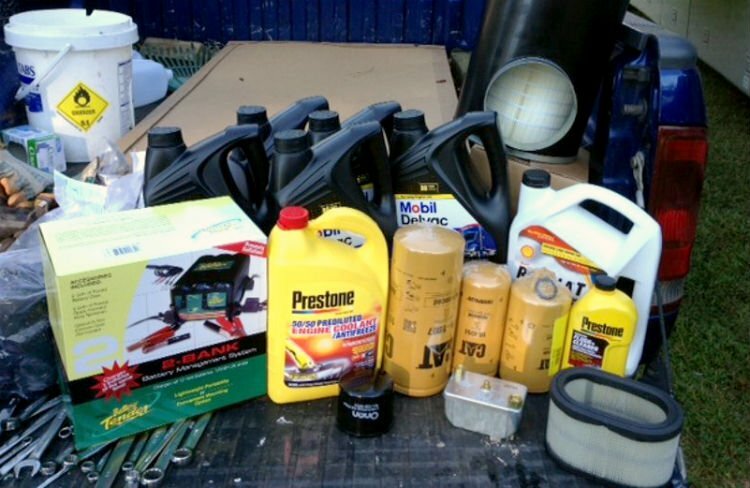 We’ve discovered that some RV park bans on vehicle maintenance are stricter than others. Don’t choose a RV park for maintenance until you get clearance for minor outside work. If you’re paying a RV service center to do the maintenance, choose one that’s convenient to shopping and dining. You’ll be more comfortable when the work is underway. Some jobs take longer than anticipated so choose service centers that allow you to stay overnight in their parking lot. Most shops are accommodating once you explain that you’re a full-timer or traveling extensively. RVing has its privileges, but escaping housing maintenance chores isn’t one of them. However, if you follow these tips you’ll be less inconvenienced when it’s time to bring out the tool box. I always do something to the rig each time we go out- usually once a month. Things like lubing jacks, cleaning a/c filters, checking battery fill levels, etc. Very easy to stay on top of it that way and I would recommend this regimen to anyone who owns an rv or boat (we have both).